Marquez Daniels, Mays, DL/G 6’0” 250 lbs. In a resounding 41-0 win overall Banneker, Daniels was a force at his interior spot. He recorded 7 tackles, 5 TFLs, 2 sacks and a QB pressure. Watching tape of Marquez it is easy to see why he was named co-captain of the Raiders. He plays quick and powerful with a great first step and arrives at his destination with purpose. 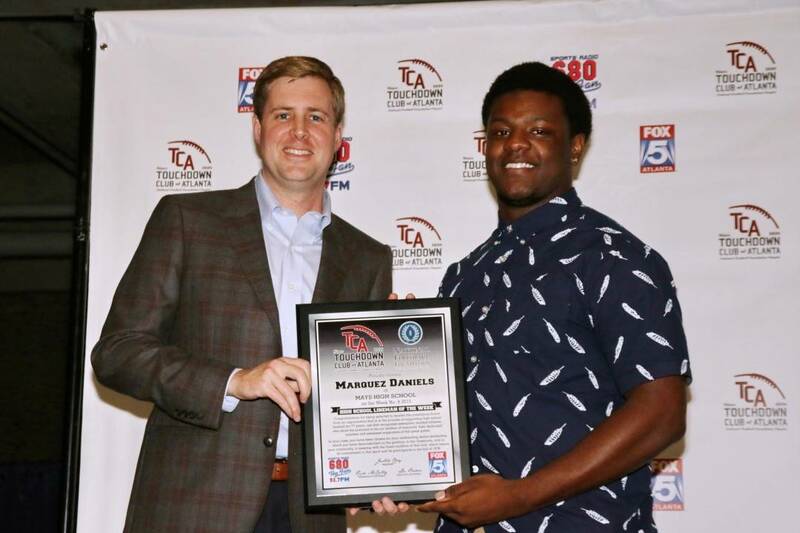 For his efforts, we congratulate our Lineman of the Week, Marquez Daniels.